The winter solstice marks the longest night and shortest day of the year, and this year it falls on Tuesday, Dec. 22, in the Northern Hemisphere. The word “solstice,” which means “sun stands still,” is a bit of a misnomer. In fact, it occurs because Earth tilts on its axis continually, and during the winter solstice, the sun is farthest from the planet’s celestial equator. The exact time of the solstice — when the North Pole will get no sunlight at all — is 4:48 UTC, or 11:48 p.m. EST. For centuries, this significant date has been celebrated in various ways by different cultures, and modern pagans still celebrate Yule, the holiday associated with the solstice. Many ancient cultures marked the solstice with rituals and celebrations. The Romans held a weeklong festival called Saturnalia around the solstice, which honored the god Saturn and involved rituals like feasts, sacrifices and gift-giving. Ancient Egyptians honored the rebirth of Ra, the god of the sun. Celts in the British Isles held a celebration during the midwinter solstice as well, and some of their traditions, like gathering mistletoe, persist to this day. In certain Wiccan and pagan traditions, the Yule celebration arose from the Celtic story of the battle between the Oak King, which symbolizes the light of the new year, and the Holly King, which represents darkness. Some Wiccan rituals include re-enactments of this battle. What Does Christmas Have to Do With the Solstice? The birth of Jesus Christ is celebrated on Dec. 25, or Christmas Day, all around the world. But there is no biblical evidence of Jesus’ birth falling on this date. Early Christians debated when it should be celebrated, and some theories suggest that because the Romans already celebrated a festival around the solstice, Christians chose the date to appease the pagans and Romans and co-opt the holiday for their religious needs. Yule, the ancient name for Christmas, may come from jol, a Scandinavian winter solstice festival. How Is the Solstice Celebrated Today? Modern-day Wiccans and Druids still commemorate the solstice as one of the eight solar holidays throughout the year. Wiccans often spend Yule with family and friends and exchange gifts and decorate their homes in red, green and white — colors associated with ancient Druid traditions. Others celebrate with rituals that signify light, like meditating to candles, singing pagan carols and lighting Yule logs. 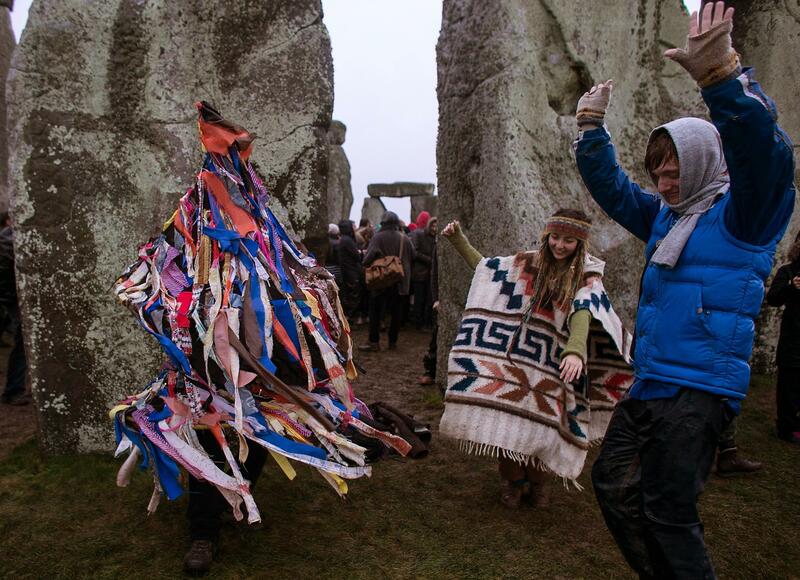 Druid revelers often celebrate the holiday at Stonehenge in England. 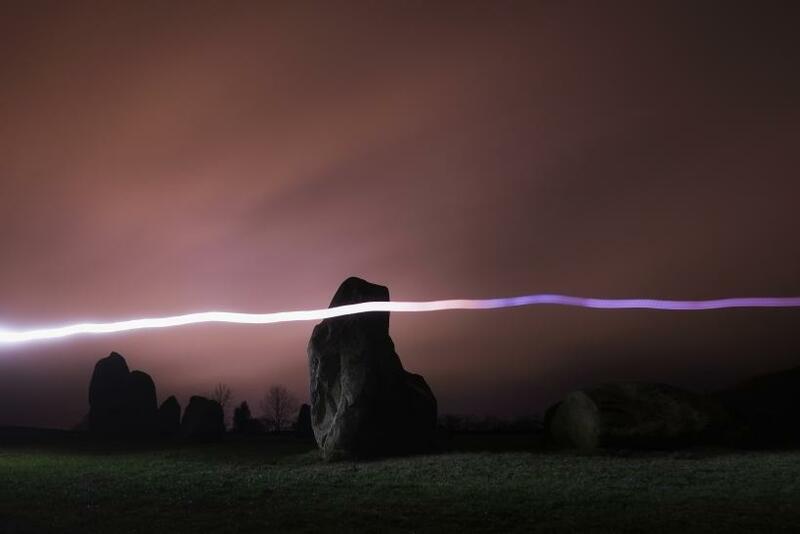 Visitors gather to watch the sun rise and witness it cast a line that connects the Altar Stone, the Slaughter Stone and the Heel Stone. Others gather at ancient sites like Newgrange in Ireland and the Cerro del Gentil pyramid in Peru.